Izula Jade is a Kansas City Native and survivor of childhood cancer. 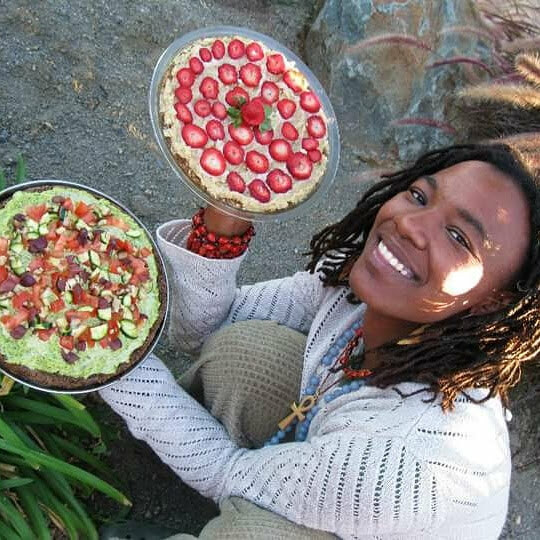 She began her plant based journey 25 years ago and on this path she developed a deep connection with nature, empathy for all life and passion for the healing arts with the blessings of the ancestors and to honor the future generations. She is a Mother, Artist, Poet, Raw Vegan Dessert Chef, Plant Based Empowerment Mentor, Herbalist, Reiki Practitioner, Food and Environmental Justice Activist, Permaculturalist and is currently homeschooling her son in nature as much as possible.